Maren O. Mitchell’s poem, “O without a kickstand, Q” appears in The Macguffin, Volume 35.1, and her poem, “Falling Toward Winter” appears in The Lake, December issue, online UK journal. Mitchell’s poems appear in POEM, The Comstock Review, Slant, A Journal of Poetry, The Pedestal Magazine, Tar River Poetry, Poetry East, Hotel Amerika, Chiron Review, Iodine Poetry Journal, Appalachian Heritage, The South Carolina Review, Southern Humanities Review, The Lake (UK), Skive (AU), The Classical Outlook, Town Creek Poetry, The Journal of Kentucky Studies, Wild Goose Poetry Review, Pirene’s Fountain, Appalachian Journal, The Arts Journal and Red Clay Reader #4. Two poems, “X Is a Kiss on Paper” and “T, Totally Balanced,” have been nominated for Pushcart Prizes by contributing editors of Pushcart. In 2012 she received 1st Place Award for Excellence in Poetry from the Georgia Poetry Society. Her nonfiction book, Beat Chronic Pain, An Insider’s Guide, (Line of Sight Press, 2012) www.lineofsightpress.com is on Amazon. 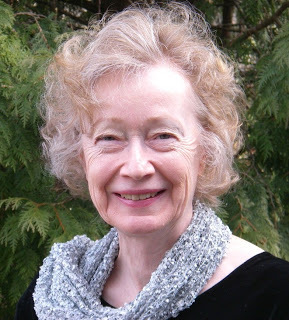 Interconnecting with writers throughout mountain towns in northern Georgia, she participates in monthly critique groups and public reading venues.